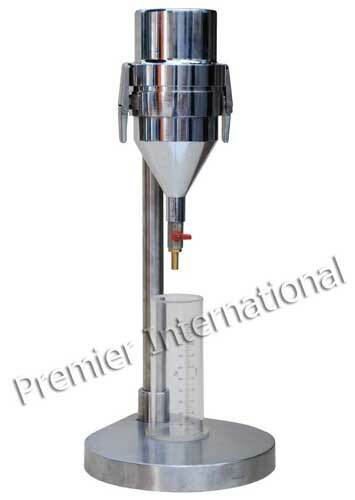 Our Consistency Determination Apparatus is ideal for quick determination of pulp/ stock consistency. The measured stock is poured on to the grid plate of the equipment and drained under suction. The filtration is repeated until the filtrate becomes perfectly clear. After drying and weighing of the sheet the consistency is determined by our Consistency Determination Apparatus.